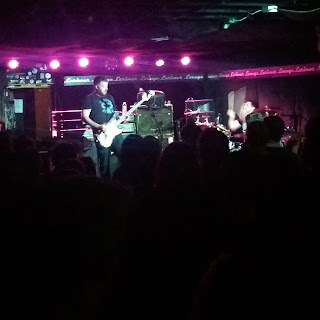 Ok here is another from the Songs For The Deaf tour. 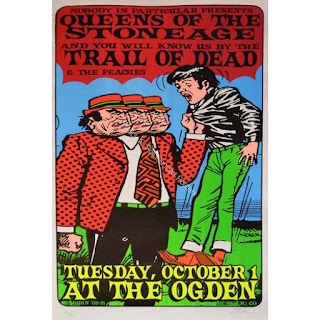 Almost exactly a year later from the 2002 show at the Ogden. 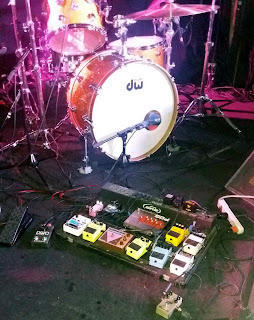 I recall that we had trouble getting our recording gear in to the Fillmore. Which wasn't a big surprise. 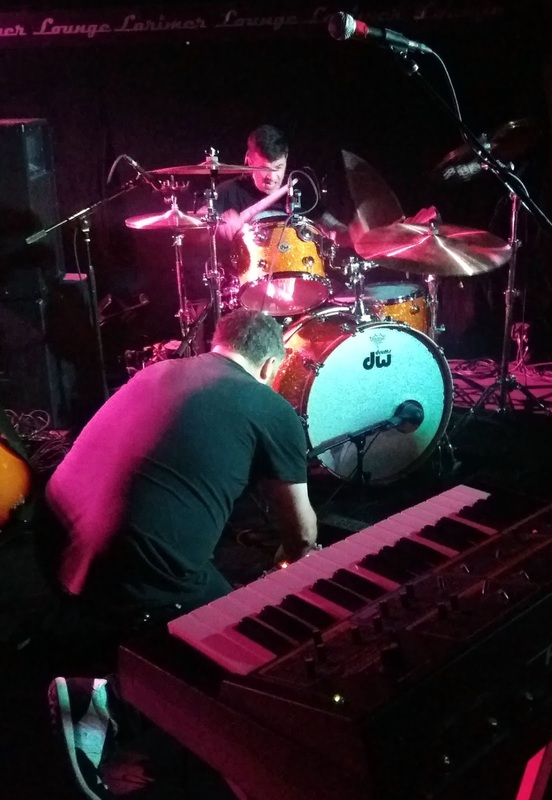 QOTSA was very taper friendly when a man named Hutch was doing all of their live front of house sound. At the previous 2002 Ogden show I posted he went above and beyond to help us get in the door with a mic stand and bag of gear. For this show it was no go at the door. We walked around to the north side of the Fillmore were the buses were parked and just happened to see Hutch heading to the back stage door. We yelled out for him and he came over and carried out gear in and set it in the sound booth. Fillmore remains one of my least favorite sounding rooms in town but this recording turned out really nice. Again Hutch is a total pro and nailed it. Really fantastic set list. Love that they played Auto Pilot. Mark Lanagen again joins the band for a handful of songs as he did on this tour. Here is another older QOTSA recording of mine. This time on the Song For The Deaf tour. 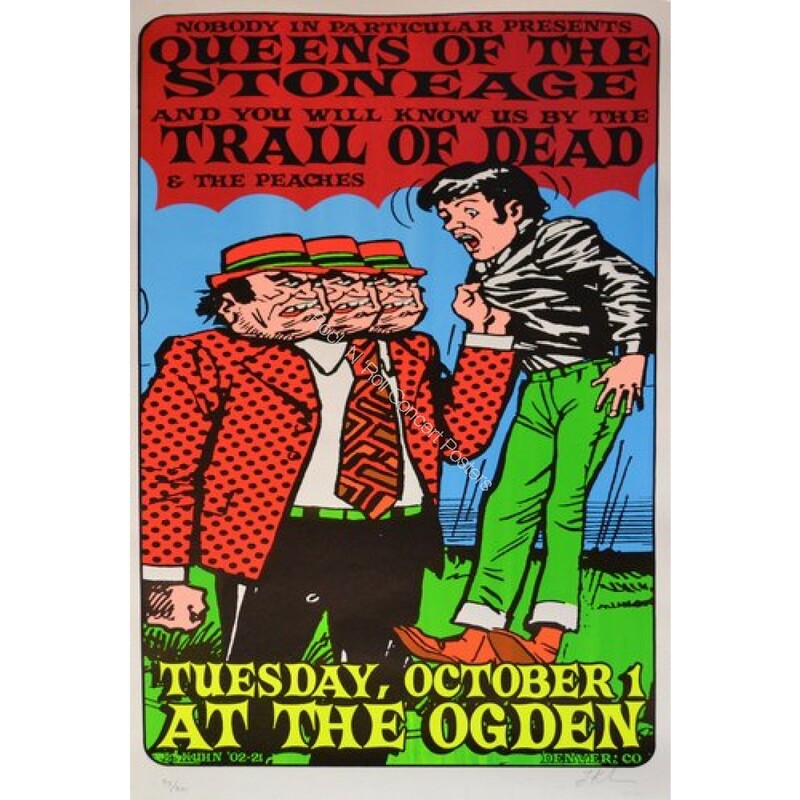 Interesting lineup with And You Will Know Us By The Trail Of Dead and Peaches. 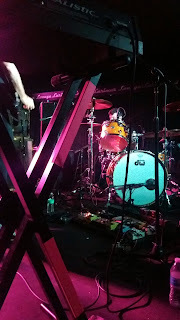 I recall the crowd not digging Peaches very much. I have a recording of her too. I need to dig that up. 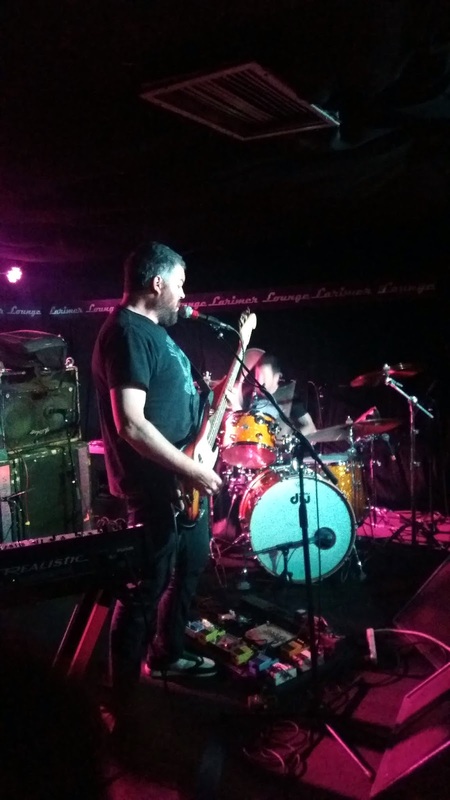 Another stellar set list and Mark Lanagan joins the band for several songs. Good stuff. Enjoy. 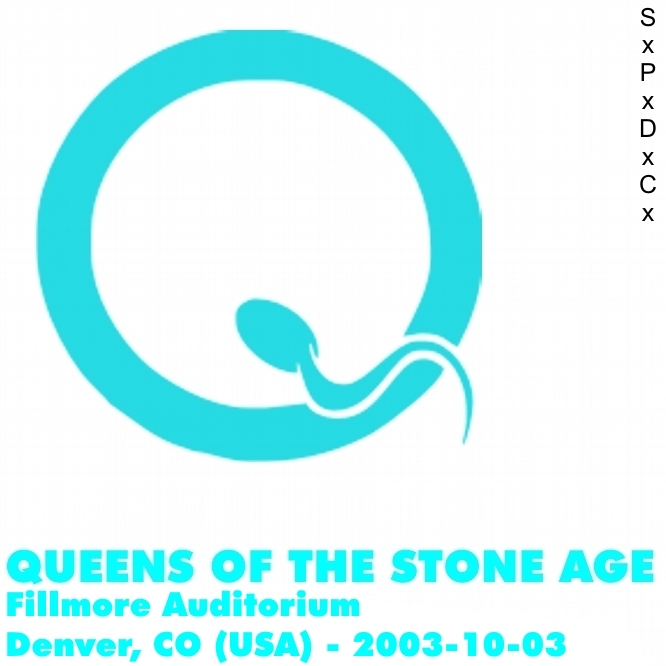 Sticking to the Queens Of The Stone Age track. 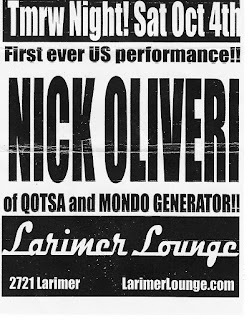 Here is a solo acoustic performance by Nick Oliveri the night after Queens had played at the Fillmore. 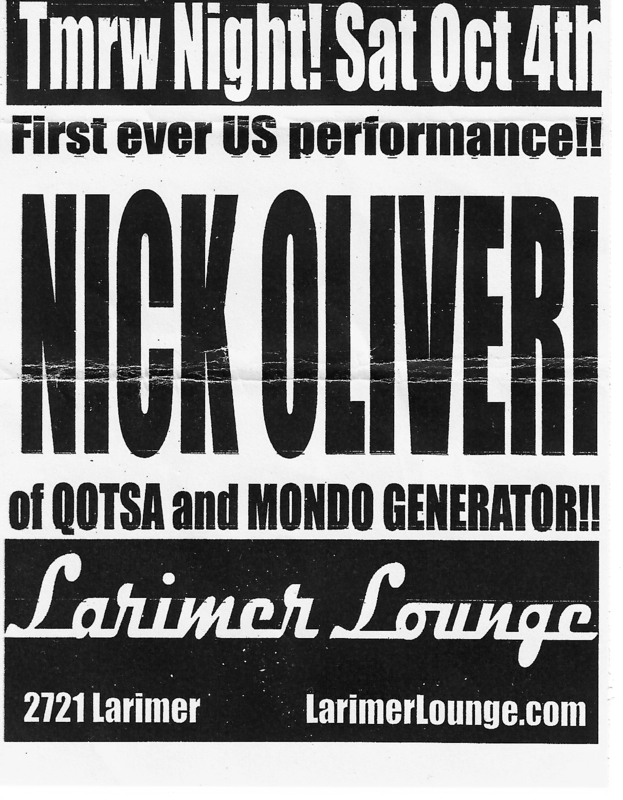 Flyer says "first ever US performance" but I have no idea if that is true or not. Nice sound board sourced recording with songs from all over Nick's catalog. 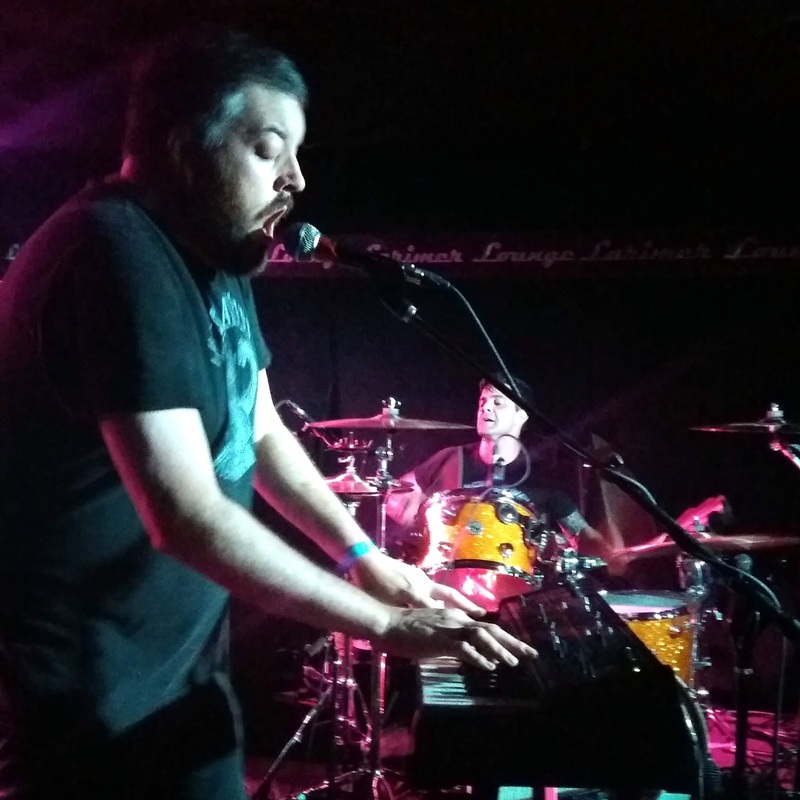 Mark Lanagan comes out for a handful of songs to lend a hand and sounds as haunting as ever. I hadn't listened to this one for a bunch of years and had forgotten how fantastic this show was. 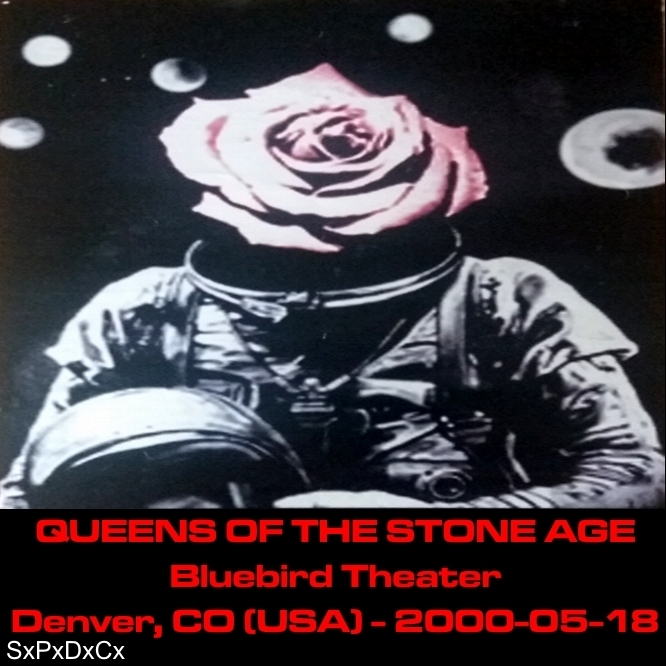 Here is a nice early Queens Of The Stone Age show in Denver. Early 2000 at the Bluebird Theater right before the brilliant Rated R album came out. So only a few songs from that album get played but the set list is chock full of killer tunes. Including an ...Millionaire which doesn't get on an album until Songs For The Deaf. The band really stretches is out on You Can't Quit Me Babe. A glorious 9 + minutes. Love that they opened up with The Bronze. One of my QOTSA favorites. I did a fresh transfer from the original master minidisc for this post and put a bit more polish on it. I know I traded this out in the CDR by mail days but I'm not sure I have ever posted it anywhere. If you have it on CDR consider this an upgrade. I'm in the midst of getting all my early Queens recordings posted so watch this space for more. Enjoy.